Olebogeng Ramerafe, Talent Acquisition Specialist at Smollan, let Giraffe in on a few of her secrets for efficient high-volume recruitment and shared her thoughts on the future of HR and trends to watch. 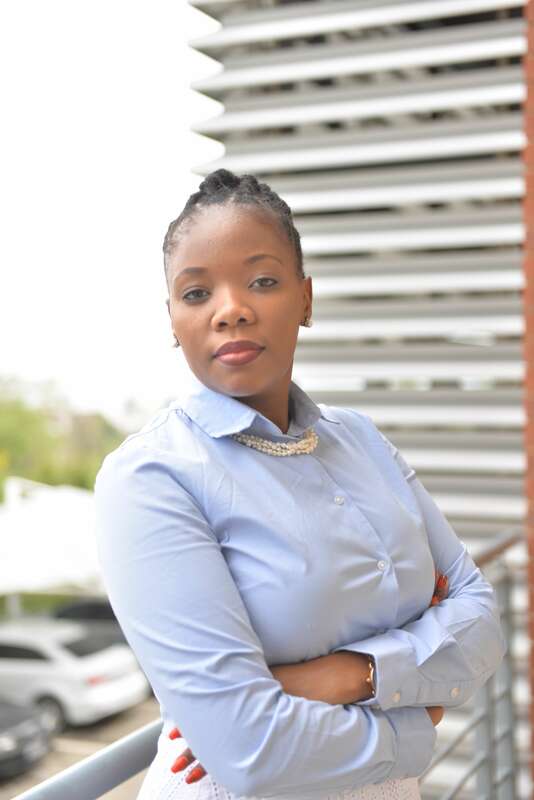 “Recruitment chose me,” says Olebogeng Ramerafe, Talent Acquisition Specialist at Smollan. Fortunate that it did, given that Ole now specialises in acquiring top talent for an organisation with a complement of over 80 000 permanent staff and thousands more on fixed term contracts. Ole started at Smollan two years ago as a Talent Acquisition Specialist focusing on field marketers and promoters. She has since more than doubled her portfolio with the company adopting a group-wide approach to talent acquisition. The four-person Talent Acquisition team now works across a number of reputable and sizeable brands spanning industries such as telecoms, consumer electronics and alcoholic beverages. Although in a Talent Acquisition role, Ole is passionate about the strategic elements of recruitment, the importance of managing talent and helping people perform to the best of their ability. When asked why she chose talent acquisition and what makes it all worthwhile, her answer- without any hesitation- is helping people. While extremely rewarding, working closely with people and playing such an important role in their lives and career paths can also be taxing – “You can never have an off day,” says Ole, “when people are relying on you, you always need to be on top of your game.” This is understandable, given the large volumes of candidates that a company like Smollan recruits on a constant basis. Managing this high-volume recruitment cycle is an art in itself, one that Ole and her team have mastered by adopting various unique approaches and processes. One of the successful methods she has used to manage high-volume recruitment is to improve the quality of candidates coming for face-to-face interviews. She has done this by introducing an online pre-screening assessment that measures not only a candidate’s alignment to the job spec but also the overall likelihood of a fit with the relevant brand. Through this assessment and by being more specific in the screening process, overall candidate quality can be improved at scale. Ole also favours telephonic screening to streamline the high-volume recruitment process. “Recruitment processes are always too long and telephonic screening is very useful but underused,” says Ole. It is important to optimise the use of time when interviewing and screening so many candidates on a regular basis. Respecting a candidate’s time is extremely important, they are often not able to attend many rounds of face-to-face interviews, often without decision-makers present, in order to be considered for a role. Good quality candidates are very hard to get these days - they know that they’re good and that they have choices. Long and unnecessary hiring processes are not an option when client deadlines need to be met and every acquisition is urgent. “If the recruitment process itself is too long, many good quality candidates will pull out,” says Ole. When asked about the future of Talent Acquisition and key trends in HR as a whole, Ole predicts that gamification will play a significant role. Gamification makes use of gaming to engage users while assessing their progress and encouraging desired behaviours or actions. Getting candidates to interact with simple tasks, delivered in a compelling and fun way, will improve the recruitment experience for candidates and allow for engagement beyond the face-to-face interviews or even online assessments. Once an aspiring writer, Ole now spends her time outside of work reading and attending thought-leadership and networking events when she can. “I’m also passionate about mentoring and about the youth - grooming them and growing them. Many young people don’t understand the transition from tertiary education to the workplace and more needs to be done by passionate people to assist in this space”.